At Frank Kent CDJR we love supporting our drivers and the automotive community in every way possible. If you are sitting there thinking “well what could Ram dealers near me possible do to make my life better?” , it’s about time you found out! Ram dealers near you can provide you with the support you never knew you would need in life. Whether you need to be stronger, faster, safer, smarter, or you just want things to be easier, then that is exactly what Ram dealers near you, like Frank Kent CDJR, will do. When it comes to performance, you will not find better support than a Ram truck. Whether it’s the light-duty Ram 1500, the middle ground heavyweight Ram 2500, or the beastly Ram 3500, you will be able to find the exact amount of performance capability required by your life. The Ram 1500 shows off its muscles with an impressive 10,620 pounds of towing capability. This is mostly thanks to the three impressive powertrain options. The standard powertrain is a 3.6L Pentastar V6 with 305 hp and 269 lb-ft of torque with 25 mpg highway. The advanced powertrains include a 3.0L EcoDiesel V6 producing up to 240 hp and 420 lb-ft of torque, while remaining fuel efficient at 27 mpg highway, and a 5.7 Hemi V8 that offers up to 395 hp and 410 lb-ft of torque with a still impressive 22 mpg highway. These all are paired with the same 8-speed automatic transmission. The Ram 2500 offers an even more impressive 17,980 pounds of towing capacity with its three engine options. The Ram 2500 offers drivers a standard 5.7L Hemi V8 with 383 hp and 400 lb-ft of torque, a 6.4L Hemi V8 with 436 hp and 410 lb-ft of torque, or a 6.7L Turbo Diesel I6 with 370 hp and 800 lb-ft of torque. The 6.7L Turbo Diesel is the option that will get you the most towing potential and also offers a best-in-class 15,000-mile oil change interval. As for transmissions go, this model offers either a 6-speed manual or a 6-speed automatic. The Ram 3500 has a substantial increase in towing potential by granting drivers a massive 31,210 pounds for raw hauling power. This heavy-duty truck offers two commanding engines including a standard 6.4L Hemi V8 with 410 hp and 429 lb-ft of torque and an optional a 6.7L Turbo Diesel I6 with 385 hp and 930 lb-ft of torque. The 6.4L Hemi pairs with a 6-speed manual or automatic transmission, while the 6.7L Turbo Diesel pairs with an Aisin 6-speed automatic transmission. Safety is non-negotiable when it comes to your vehicle, and a Ram dealer near you will always honor that. No matter what kind of safety support you require, a Ram truck and dealer will provide it. Besides being built tougher than most with their high-strength steel frame and largest-in-class brakes, Ram trucks also offer a long list of standard and optional safety features to help keep you aware of the avoidable and protected from the unavoidable. Here is a list of all the advanced safety technology that Ram dealers near you have to offer. Just because a truck looks bold and beastly doesn’t mean it can’t also be smart. Ram trucks offer an excess of intelligent features that will boost both your performance output as well as your personal entertainment. Comfort support is more essential in a vehicle than most drivers know. Without the proper support, you could end up causing yourself years of mental strain or even physical damage to your back, neck, spine, and rear without even realizing it until it’s too late. Commuting from place to place is something most drivers do every day of their lives, and luckily despite their tough exterior, Ram trucks were designed with a softer side to make the commute more healthy and enjoyable. Ram trucks are spacious in everything including leg room for both the front and rear passengers. Every truck is equipped with versatile seating options with clever storage options. These trucks were also designed to reduce ambient sound to keep the outside world away from the cabin. You will also get the option of upgrading to not just heated, but ventilated leather seating as well as dual-zone temperature control that will make you question how you were ever able to live without it before during those unforgivingly cold winters and sweltering summers. 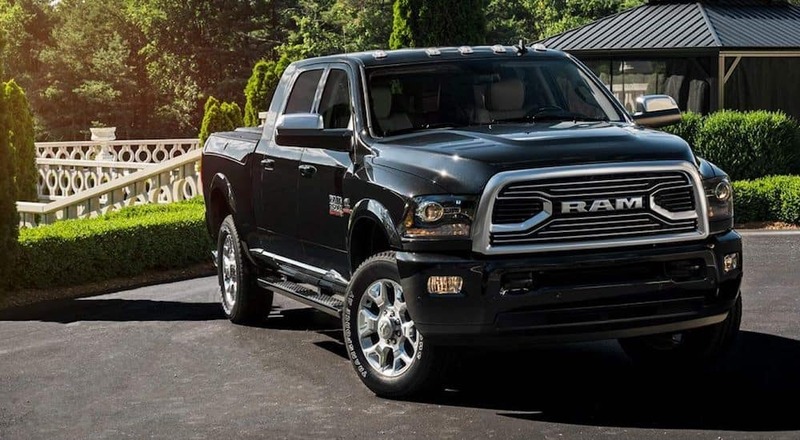 We as a Ram dealer near you want to be sure you are always getting the best value out of your next vehicles, and we don’t believe there is a better deal than a Ram truck. For the power, safety, technology, and comfort you are getting you won’t find a vehicle that is more properly valued. The Ram 1500 starts new for an affordable $27,000, the Ram 2500 starts at a fair $32,000, and the Ram 3500 starts at a very reasonable $33,500. We will out-performance all other dealers by providing you with quick service that is completely customer-centric. We will make sure you feel secure by providing service that is 100% transparent, straightforward, and free of games. We will make sure you feel comfortable at our Ram dealer by giving you an experience that is personalized to your automotive needs. We will make sure you feel enlightened by offering you numerous resources including our passionate and well-informed staff. In short, we are a dealer that cares about supporting you throughout the entire car buying process, from the first time you contact us to the day you drive off the lot, and hopefully even beyond that. Looking for a Ram Dealer Near You? 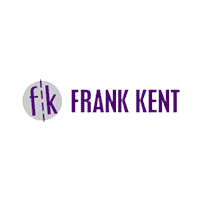 Visit Frank Kent CDJR! At Frank Kent CDJR, we are a Ram dealership that will proudly take care of all of your automotive needs with the greatest service we can offer. From fair pricing and high-quality vehicles to a pleasant and efficient car buying experience, you are sure to drive away happy from our lot. So, the next time you find yourself searching “Ram dealership near me,” look no further than Frank Kent CDJR. We look forward to supporting you in your new car search by helping you find your perfect Ram vehicle today!